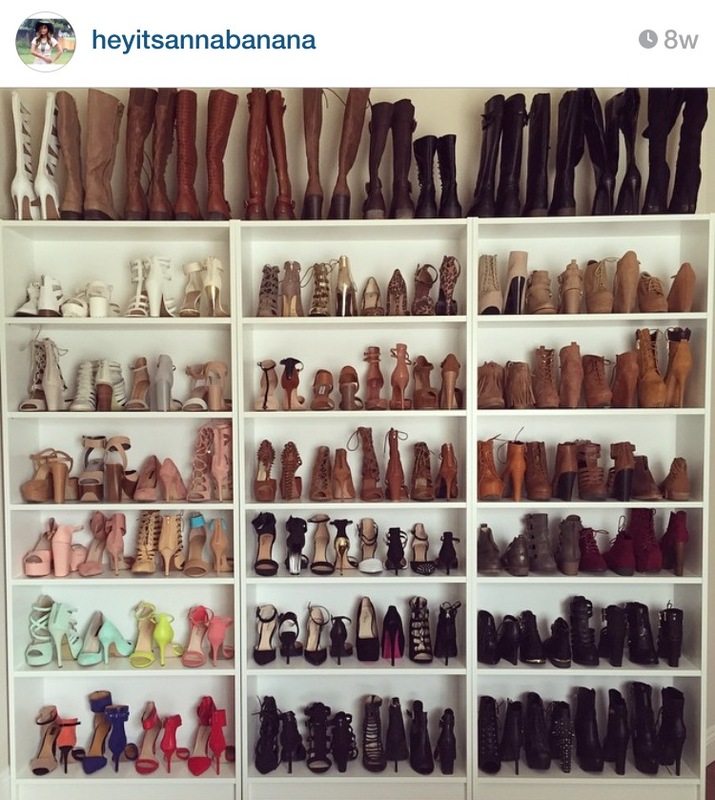 Interview With Instagram's OOTD Queen - HeyItsAnnaBanana! In today's post I wanted to share with you a little about how I ended up in the blogging world, and also an interview that I recently organised with the insanely popular instagrammer - Heyitsannabanana! It all started a few years ago when I created my first Instagram page. Not being sure where to begin, my first picture ended up being of our red Smega fridge. Yeah I know what you're thinking, a fridge? Really? Not cool. 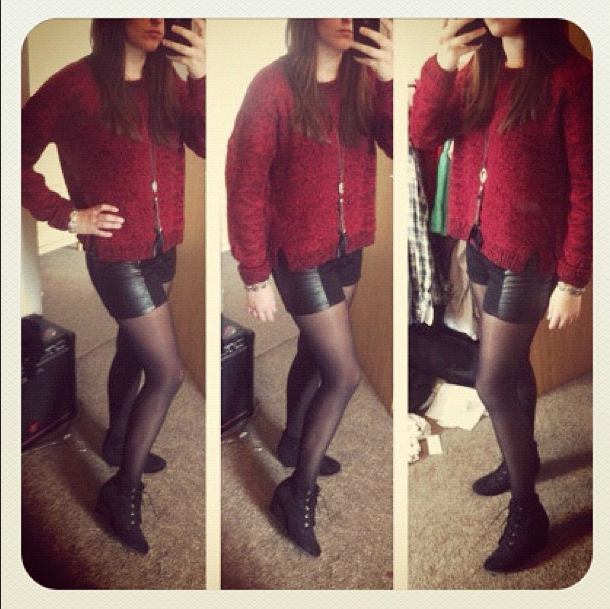 But that was before I had discovered the fabulous world of the OOTD! After a bit of exploring I started finding these #ootd shots of all different styles, from girls all over the world. Then I came across Anna's Instagram, which was a whole page dedicated to her different looks and outfits - which I instantly fell in love with! I loved how she showed you how to style an item 3 different ways, and how she experimented with a range of different styles. From then on I kept up to date with her page like it was cosmo magazine, and I also noticed more and more girls creating these fashion pages, which I began to follow. I loved the idea of sharing outfit snaps with other like minded people, and getting inspiration from each others styles, so in the end I decided to give it ago myself. Mainly because, I was raging shopaholic anyway! Exhibits A & B above are some of the terrible images that I first ever uploaded to my new page. Granted, my camera skills weren't amazing and would it have killed me to tidy up/move the random tissue off the floor lol?! ... but it was a start! 1. It was a few years ago when I found your page on insta, I instantly loved the ootd shots and looking at how you styled different items - it actually inspired me to start up my own page. What inspired you to start your own fashion account? 2. And did it surprise you how quickly your followers grew? Yes! I was really surprised when so many people started following me. 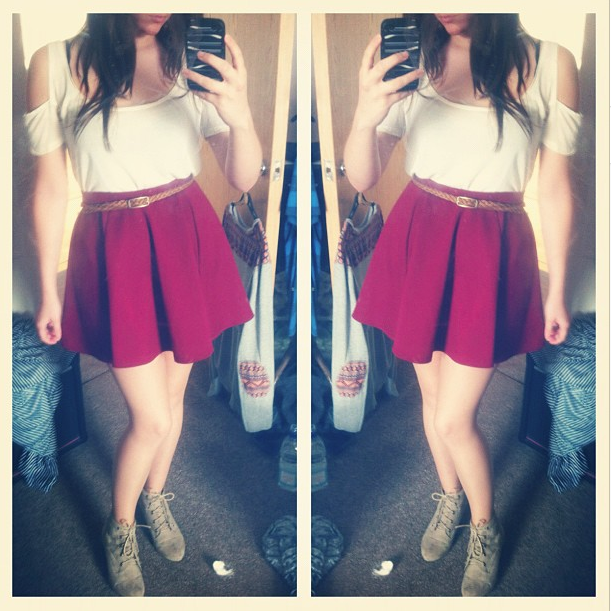 I mean I'm just an ordinary girl posting daily outfits and I didn't think that people would love them! 3. You’re nearly at a million followers now - do you ever get recognised when you’re out and about? 4. What advice could you give for anyone starting up their own fashion account? Was there anything you did that you found really helped to grow yours? 5. What do your family and friends think about your insta fame? They must be so proud of what you’ve achieved! 6. Have you met any friends from running your fashion page? 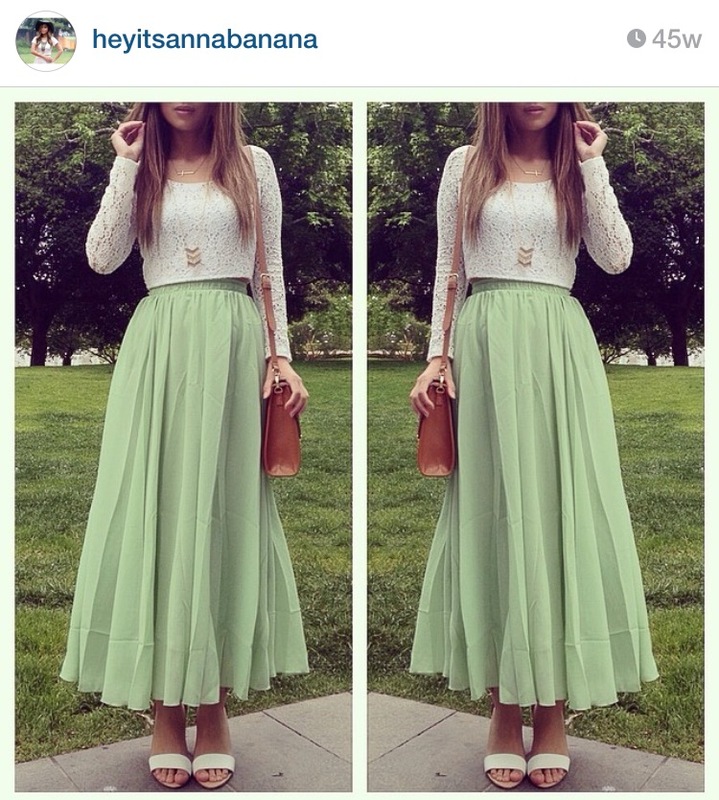 And who's your style inspiration on Instagram? One of the reasons why I love IG is that you meet so many people who share the same interests as you do! I've met up with so many girls and I still keep in touch with them :) I really love it! My style inspiration would be sincerelyjules. I just love her simplicity and I can relate more to her style. 7. What’s been the best thing that’s come from starting up your fashion account? The best thing would definitely be meeting new friends! I've made so many and most of them I talk to almost everyday :) That and I started my own business which is really cool because it's something that I enjoy doing. I can't really think of any worst thing but sometimes IG gets a little overwhelming. 8. You must have the biggest closet ever! Where do you store all your clothes!? And where’s your favourite place to shop if you had to pick? 9. Lastly, what are your plans for the future - do you think you’ll start up a blog or venture into anything else? I would love to have my own clothing line/boutique in the future :) I don't think I'm going to start a blog anytime soon. And that's all of the questions! I hope you enjoyed, and if you've got a question for Anna about her success or anything you're interested in etc - then just let me know in the comments and i'll make sure I ask her the best ones, and update the blog post with her answers! :) You can also find her awesome Instagram page here. Have a lovely rest of the week - I'll be back very soon! I love her photos too. Hey Zarrah! She does have fab style! Thank you so much Sophie! I know right!! Nearly a million! Awh thank youuu lovely! She really is very genuine not to mention stylish! I've had so much style inspo from her page! Great interview and great photos. I've never heard of her before, but I'll have to check out her IG page. This is such a great interview! She's gorgeous! I can't wait to see more posts from her. And I would love to read more interviews like this. Pretty blog, keep up the good work. Oh my gosh, I follow her too! I love her style, so cool you interviewed her. I love that she's sweet and humble! Holy crap she has a lot of followers. I love seeing how people improve over time with photos and such.